Cartoon Network and Outright Games have announced that they'll be bringing a boxed retail bundle of both Steven Universe: Save the Light and OK K.O.! Let’s Play Heroes to Nintendo Switch. 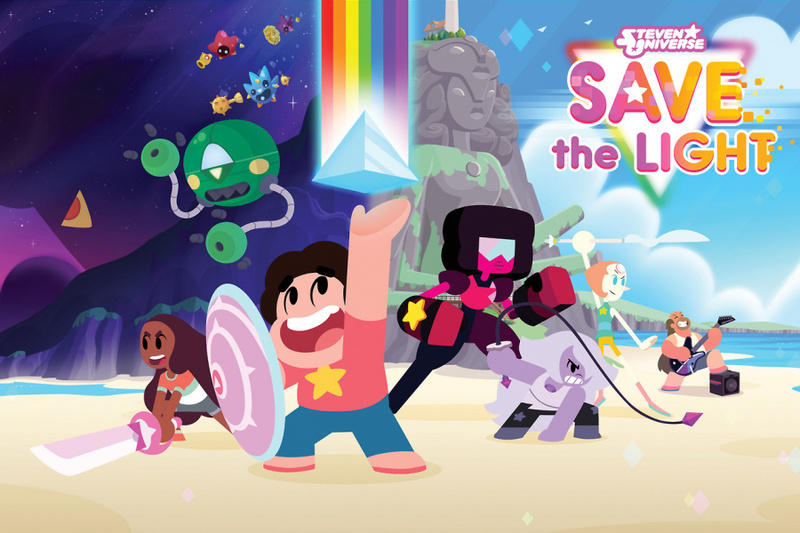 Featuring an original storyline crafted alongside series creator Rebecca Sugar, Steven Universe: Save the Light released digitally on other platforms in October last year, acting as the sequel to mobile RPG Attack the Light. The game lets players discover new and familiar characters on a journey through Beach City and beyond, all in the hopes of stopping a mysterious Gem new to the world of Steven Universe. You'll be building your party of heroes from the show's cast, levelling them up with new gear and abilities, and unleashing mighty team attacks and 'Fusions' in battles that blend real-time and turn-based elements. OK K.O.! Let’s Play Heroes, on the other hand, is a slightly unconventional action-RPG developed by Capybara Games, also featuring an original storyline made in collaboration with the series' creator Ian Jones-Quartey. When the diabolical Lord Boxman resets the card levels of every hero in Lakewood Plaza Turbo, a mall for heroes, it’s up to young K.O. to help his friends, defeat Boxman’s robot army and save the day. Players need to smash and bash their way through "ridiculous" quests and hard-hitting battles featuring brawler-style combat. The game will be available at retail on 30th October in North America and 2nd November in Europe, selling at a suggested price of $39.99 / £34.99 / €39.99. As this is the first time that the two games will be appearing on Switch, each title will also be released individually on the Switch eShop. Should you want to go digital, Steven Universe: Save the Light and OK K.O.! Let’s Play Heroes will be available for $24.99 / £19.99 / €24.99 and $19.99 / £17.99 / €19.99, respectively, from 30th October. Will you be diving into these Cartoon Network tie-ins? Let us know below. Hated Steven Universe. Too much teenage angst for me. HAHA! I just bought Save The Light on the Xbox One thinking "Real shame this isn't on the Switch." This reminds me of a time when practically every TV show and cartoon got its own tie in game. I honestly wish some more modern animated movies got games, just to see how they would adapt it. How awesome would it be to have an open world game set in the Zootopia universe? When they openly claim the Steven Universe RPGs had Paper Mario inspirations, it felt wrong to play it on anything else. Remind me when these hit the bargain bin as I still got a whole list of RPGs I would play first over these. Woo! Now I can actually play these! Oh yeah, I'll be getting this. @AxeltheBuizel I remember that too. And not all of them were good. Looking at you, Buck-O Hare. in all seriousness...FINALLY!! Been holding off on both of these due to the price on other platforms and hoping they'd eventually come over to the Switch...now they do and they're both on a PHYSICAL BUNDLE?? Oh man awesome! Heard they had some performance issues when they first released so hopefully that's taken care of by now but still, I'm sure I'll have a blast with em. Along with the kiddos of course. Two of my favorite shows too. So much more than meets the eye. Quality programming right up there with Adventure Time. Woot! I've never been interested in Steven Universe and I haven't heard of the other show. That's a pretty big price tag for a port of a four dollar mobile game. This is part of why I like getting more F2P and budget titles on the Switch. It helps to shift the eshop's economy so publishers can't expect everyone to buy a mobile game for twenty to thirty bucks. I'll happily pick it up for five or so, but that's it. I ony ever saw the original mobile game, but that looked rather sleek in all it's clean design and Paper Mario-esque battles. @ReaderRagfish I heard that this game has no teenage angst. I might look into it, really enjoy both shows. Wonder if they'll finally add the extra Save the Light character or not. Ah, I'm so glad I'm not forced to buy both if I go digital. Definitely gonna be checking out Save the Light! Attack the Light was pretty good, for a mobile game. @FTPinkRabbit Uh, what gave you the idea this was a mobile port, exactly? 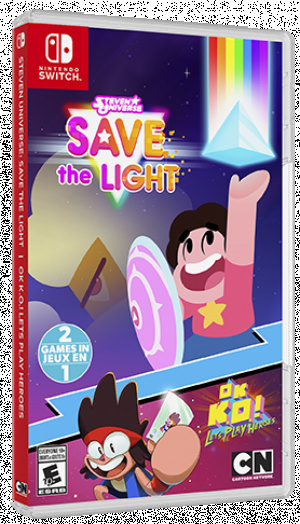 I can't speak for O.K.K.O as I don't follow the news for that (though google searching didn't reveal any previous mobile game by that name) but Save the Light is a sequel to the mobile game Attack the Light. I know because I played Attack the Light. 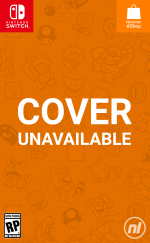 @AxeltheBuizel and yet we send up with Hotel Transilvania 3 as the latest example! @ShadJV @amiiboacid The characters all constantly go from "Yay I'm happy ha ha ha" to "Waah my life is hopeless I'm crying now Waah I'm an embarrassment"
@ReaderRagfish As a fan of the show I can honestly say you’re not wrong, for the most part. 😂 That’s a bit of an overdramatization, but it’s a moderately fair one. @Agramonte The main reason why it has horrible reviews is because it's incredibly glitchy. I played through it on PS4 and had it crash multiple times. Overall it's still a fun game and if they fix the bugs on the switch version then it could be a great game to buy if you like the show and Paper Mario. @HobbitGamer Both Bucky O'Hare games are phenomenal. What are you talking about? @Prof_Yoshtonics I thought the new rule is that if you’re not good at a game, it’s because the game is awful? I liked the first one, but never go to 2. Chip N Dale was fun, too! @HobbitGamer lol I see. The second one is a Konami arcade beat em up. If you have a MAME emulator, you should check it out. It's really good. @justin233 Good on you! We need some Squaridot in our lives. @Cynas Gotcha... Paper Mario is one of my fav games. So I guess wait and see if it is fixed on Switch. Definitely not buying either of these titles, I can't stand Steven Universe and OK K.O. Interesting. Attack the light was OK for a mobile game. Never played Save the Light due to not having a platform to play it, so if the price is right, I'll guess I'll give it a go. @ShadJV I haven't seen Steven Universe in ages. But, I guess my only real gripe with SU is it feels like they don't really know where they want it to go sometimes. Finally! I've been wanting to play Save the Light for ages! Definitely getting this. I heard it was good but kinda buggy... maybe they patched 'em out on Switch? @AxeltheBuizel Same thing happened with movie IP's, where they'd release them to coincide with the movies. Problem being, they were almost always shovelware that was halfhearted and rushed. Most cartoon based games had a similar problem, so I don't typically bother with them nowadays. Hopefully they're not as sloppily made as either of these shows.